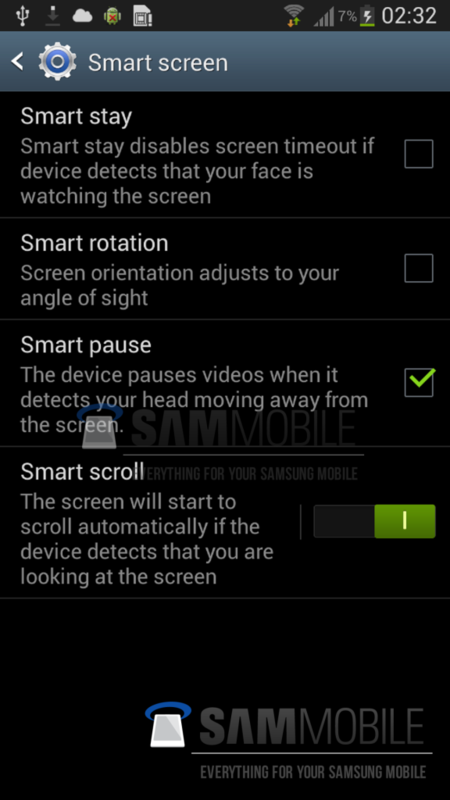 We heard rumors at the start of this week that Samsung's upcoming Galaxy S IV will feature eye tracking technology to scroll through pages as you read content, and now it looks as though those features could be heading to the Galaxy S III as well. 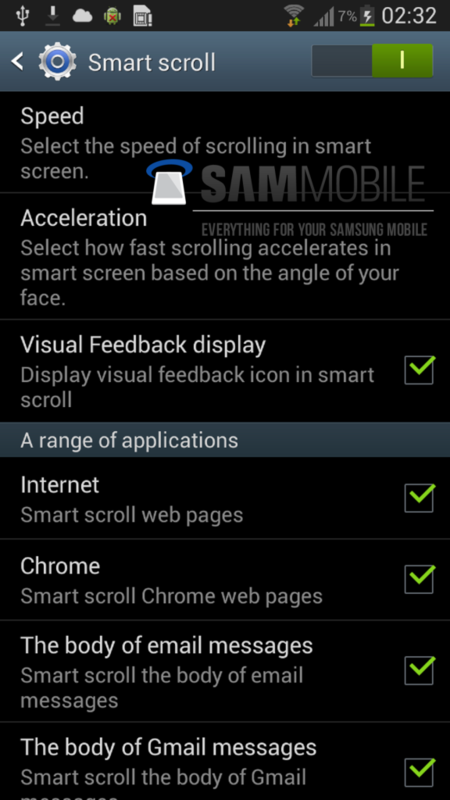 Screenshots published by SamMobile this morning, from a leaked version of Android 4.2.1 intended for the Galaxy S III, show the smart screen features in more detail, with some previously unseen additions. 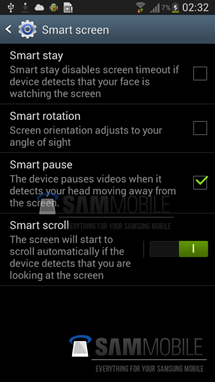 These include 'smart pause', which pauses video content when you face away from the display, and 'smart rotation', which can adjust the rotation of the display to match the direction in which you're looking at the screen. 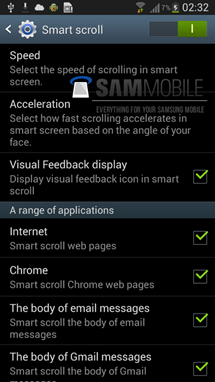 Looking at the screenshots, it appears as though the previously rumored 'smart scroll' feature will be able to work with a range of applications such as web browsers and e-mail clients, and you can choose to turn the feature on and off for individual apps, as well as manage the scrolling speed. It will be interesting to see whether these new features are rolled out at the same time for both the Galaxy S III and IV, with the Galaxy S IV being unveiled at an event in New York on March 14. 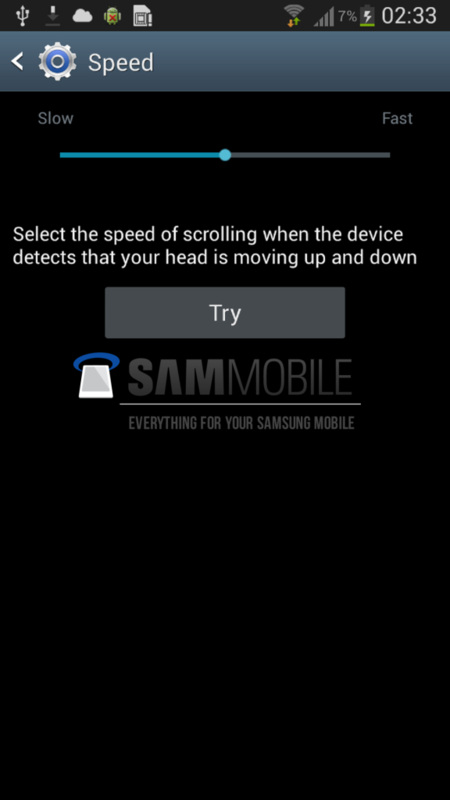 Either way, this is great news for Galaxy S III users who don't want to upgrade their hardware to receive the latest features.